“A Republic is 'an empire of laws, and not of men,” said founding father John Adams. The Law of our Land, our Constitution, records in Article II, Section 3, that one of the main duties of the President is to, "...take care that the laws be faithfully executed..." In other words, it is the President's responsibility to enforce the laws and policies, enacted by Congress. The Law causing the current uproar of “child separation” is the Clinton-era Flores Consent Decree from 1997. It says that unaccompanied children can be held only 20 days. During Obama’s term, a ruling by the Ninth Circuit extended this 20-day limit to children who come as part of family units. So this law prevents the Executive Branch from keeping families together. But is that really what this is about? No, the issue right now is certain un-American people have a felonious mentality that believes entering this country illegally is not a crime. To those individuals, crime is only what they believe it is. To them laws are arbitrary and they prefer the uncertainty of anarchy than the security of a Republic. These same individuals refuse the obvious fact that the Trump administration is not changing the rules that pertain to separating an adult from the child. Those rules started with Clinton and remained through Bush and Obama, and still remain. This minor issue of separation happens only if officials find that the adult is falsely claiming to be the child’s parent, or is a threat to the child, or is put into criminal proceedings. The real tragedy is that parents and others simply posing as parents are actually using many of these children. This is tragic! Even more tragic is that when the children cross the border they become the children of our Congress. 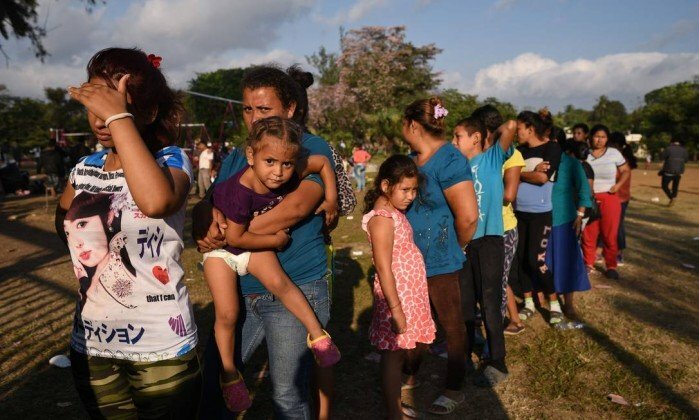 So why doesn’t Congress change the rules so the Flores Consent Decree will no longer apply, and it can appropriate more money for family shelters at the border. This would be the action of a benevolent parent, wouldn’t it? Well, Article I, Section 1, of the Constitution states, "All legislative powers herein granted shall be vested in a Congress." Congress, it is time to take care of the children bequeathed you from an unsecure border and quit relying on Trump to be your nanny. Oh, and media, use that First Amendment right and put the pressure on, would ya?